We are so sorry. 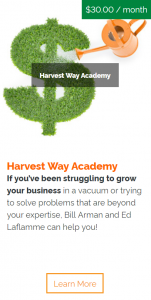 You have reached a page available to Harvest Way Academy Members. If you would like to gain access, sign up for the Harvest Way Academy use coupon code “10FirstMonth” to try it out for only $10!